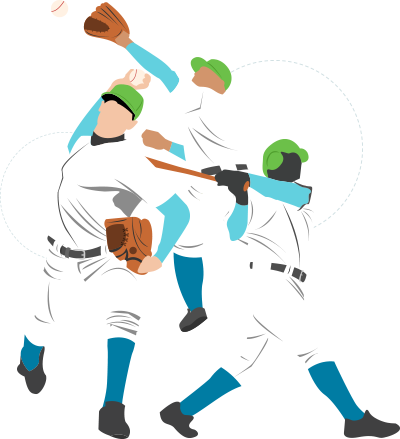 Can you imagine a baseball team where the pitcher not only pitched but also had to cover first, second and third bases; the shortstop could only cover left field; and the catcher’s main duty was to sweep clean home base? That’s a team that would never get to the World Series! Without the right players in the right places doing the right jobs, a team would have very little chance of winning. And the same is true when it comes to staffing an allergy practice. When you have the right amount of staff in the right roles, you can hit patient satisfaction, practice revenue, and provider and staff well-being right out of the park! Support staff is typically a practice’s largest expense item (after provider compensation). So, making the most of your staff, as well as having the right people doing the right things, is crucial. When evaluating and trying to determine the right staffing levels for your practice, you need to consider many different factors. How many physicians does your practice have? How many nurse practitioners (NPs)? Physician assistants (PAs)? The number of providers in your practice is one of the biggest drivers of support staff needs. If you have multiple office locations with overlapping hours, you’ll require additional staff for each site. But if your hours don’t overlap, you might be able to have staff travel between locations, unless distance is a factor. Different providers have different styles and expectations, and these will drive the level of support they need. For example, does one of your providers require a scribe for the EHR? Is another provider rather disorganized, requiring extra clinical support? Also, keep in mind that highly productive physicians may need more clinical support to manage their patient load. Oral challenges require experienced staff who are skilled at both coaching pediatric patients to eat potentially allergic foods and recognizing the signs and symptoms of anaphylaxis. Clinical trials typically require certified Clinical Research Coordinators to manage the protocol and the associated requirements. A growing practice may need to ramp up staffing based on actual or anticipated growth. If your practice is going to add more providers, this will definitely impact your staffing needs. A stable practice may need to just maintain staff levels. A practice that’s winding down – where the physicians are nearing retirement – may be cutting back on staffing as patient volumes decline. During peak seasons, limit how much time off your staff can take. And be sure to link this to your physicians’ time off. Use per diem staff in times of high demand (if they can perform the needed services). Use part-time staffing with an eye toward flexibility in scheduling. Don’t be afraid to use overtime. Even if you implement the three previous strategies, you may sometimes still need to stretch your staff’s hours to meet patient demand. When hours are used for productive purposes, overtime is not an enemy but a friend. These activities could include management, compliance, governmental reporting requirements, billing and collection and so on. They’ll impact the need for nonclinical staff. If you use an EHR, you’ll need to factor in training, reporting, support, and system maintenance in determining your staffing needs. If you use scribes, count them, too. One suggestion is to have one or more “super users” on staff who maintain a thorough knowledge of the software, evaluate the impact of new releases, and act as staff resource and trainer. Consider having a physician super user and super users for both clinical and front desk staff. Patient volumes should be a key factor in determining staffing. Busier providers need more clinical support – and more clinical support can help maintain higher patient volumes. What factors do you look at when planning your practice’s staffing? How do they impact your staffing? That’s neither efficient for a practice nor satisfying for a provider. But there’s a way around this that improves efficiency and increases both staff and provider satisfaction: make sure your clinical support staff is working at the top of their permitted scope of practice. Providers and staff should work on the most complex and challenging tasks their licenses, training and abilities allow. One way to free up your allergists' time to see more patients is to make full use of your medical assistants, LPNs and RNs. Here are some of the things they can do to improve your office efficiency and reduce your physicians’ administrative workload. And don’t forget about your NPs and PAs! They can – and should – be doing similar tasks as your physicians. So don’t underutilize them by having them do the things MAs, LPNs and RNs could be doing instead. What tasks does your clinical staff perform that help free up provider time? A key to all of these examples is the need to have preapproved written standing orders and protocols in place. Standing orders are written protocols, approved by a physician or board of physicians, that authorize nurses or other health care personnel (where allowed by state law) to perform certain activities or tests under predefined conditions. Keep in mind that creating new workflows for staff also involves providing additional training for those taking on new responsibilities. Be sure to supervise staff performing standing orders and protocols to make sure they’re being done correctly. One of the best ways to create standing orders and protocols is to form a taskforce made up of physicians and staff members who are directly affected. You’ll benefit from getting different perspectives as well as staff buy-in. But ultimately, standing orders and protocols need to be approved by physician leaders. Here are a few examples of standing orders. They’re samples only, not recommendations on how you should create the protocols for your practice. Whatever you do, don’t wing it! Protocols take some time to create, but they pay off exponentially! How does your practice use standing orders, and what tips can you give for creating these? Improved physician well-being – your doctors will be much happier doing what they got into medicine to do: help patients! Better staff engagement – your clinical staff will enjoy the challenge and find their work more rewarding. Greater practice efficiency – your workflow will be less likely to be slowed down by bottlenecks. Possibly increased revenue – your physicians, nurse practitioners and physician assistants may be freed up to see additional patients. Another great way to get the most out of your staff is to cross-train them. This not only makes your practice more efficient, but it helps your employees feel more engaged. They feel more needed because they truly are needed! Cross-training is especially important if your office is small. As you know, one absent employee can throw off the entire day – unless others are trained to step in and help out. Have your MAs rotate between working in clinical roles and serving as receptionists. Cross-train your nonclinical staff to handle registration, appointments and answering phones. Train the stronger employees (or those looking to learn more) among your nonclinical staff to handle prior authorization requests for biologics and other medications, which would help free up clinical staff for other tasks. And of course, there are numerous cross-training options for clinical staff. Train multiple clinical staff to produce antigen vials for patient immunotherapy. Create a “phone triage” team to answer clinical questions from patients, schedule sick visits, review lab results, etc. Train clinical staff to work in all testing and treatment areas. So foster a can-do attitude in your team to cover all the bases, in addition to allowing your employees to work at the top of their capabilities. Can you give some examples of how you cross-train your staff (both front desk and clinical staff)? Benchmarking is a way of evaluating your practice’s performance by comparing it to your own past performance and to other similar allergy practices. Ratios, like support staff per provider, are typically used for apples-to-apples comparisons. Let’s take a look at three powerful benefits of benchmarking. Benchmarking, when used well, is a cycle. You’ve probably seen in your own practice that clinical, administrative and management duties expand over time. So you’ll want to periodically – perhaps annually – review your staffing needs and workflow. Make sure you’re meeting your current needs, especially if your practice is evolving and changing. While benchmarking can be beneficial to your practice, it’s important to know there are also potential pitfalls to avoid. 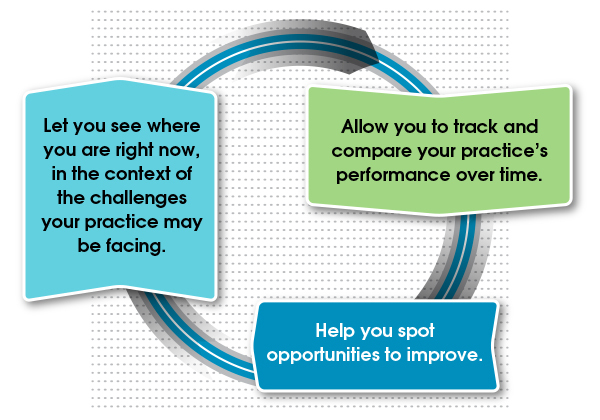 So try to compare your practice to other similar practices, or to your own past performance. Now let’s get down to the nitty-gritty: Do you know your practice’s ratio of support staff per provider? And more importantly, do you know how to properly calculate this? Simply dividing the number of doctors in your practice by the number of support staff won’t get you the accurate number you need. So here’s what you need to do. Step 1: Calculate the number of full-time equivalent (FTE) providers in your practice. An FTE provider works whatever number of hours the practice considers to be the minimum for a normal workweek, which could be 36 hours, 40 hours, or some other standard. To compute FTE of a part-time provider, divide the total hours worked by the provider by the total number of hours that your medical practice considers to be a normal workweek. For example, an allergist working in a clinic for 30 hours compared to a normal workweek of 40 hours would be 0.75 FTE (30 divided by 40 hours). Be sure to include physicians, NPs and PAs when calculating total provider FTEs. Step 2: Calculate the number of full-time equivalent (FTE) support staff. Typically, an FTE employee is someone who works 36-40 hours per week – but that might vary from practice to practice. Calculate FTEs for all staff based on your normal workweek. This includes MAs, LPNs, RNs, as well as nonclinical employees who do insurance verification, prior authorizations, billing/coding, customer service, scheduling, etc. Step 3: Calculate the ratio of support staff per FTE provider. Now comes the easy part: Simply divide total support staff FTEs by provider FTEs. Clinical support staff = RNs, LPNs, MAs, etc. In addition, the results of a recent MGMA survey indicate that better-performing practices have more total support staff – particularly clinical support staff - per full-time equivalent (FTE) physician. Don’t skimp on clinical support staff! They can take on tasks delegated by providers and thereby improve provider productivity. Your practice’s most critical resource is provider time, so it’s worth spending a little more on clinical staff to maximize provider productivity. How do you benchmark staffing, either internally or externally? Are all your practice’s team members covering the right bases? Is everyone playing to their full potential? What do you need to do to get started in finding the right balance for your staffing needs? 1. Which of the following might be possible for your practice? Having staff cover multiple locations. Adjusting service hours at one or more locations to enable cross-utilization of staff and providers. Changing clinical support for some providers (providing more for some and less for others) based on individual practice styles, patient volumes, etc. Assigning a front desk staffer, a clinical staffer and/or a provider to be tech super users and help with EHR training and support for their departments. 2. Thinking about current workflows, are your providers and clinical staff working at the top of their license? Which of the following clinical staff roles could be revised and/or expanded? 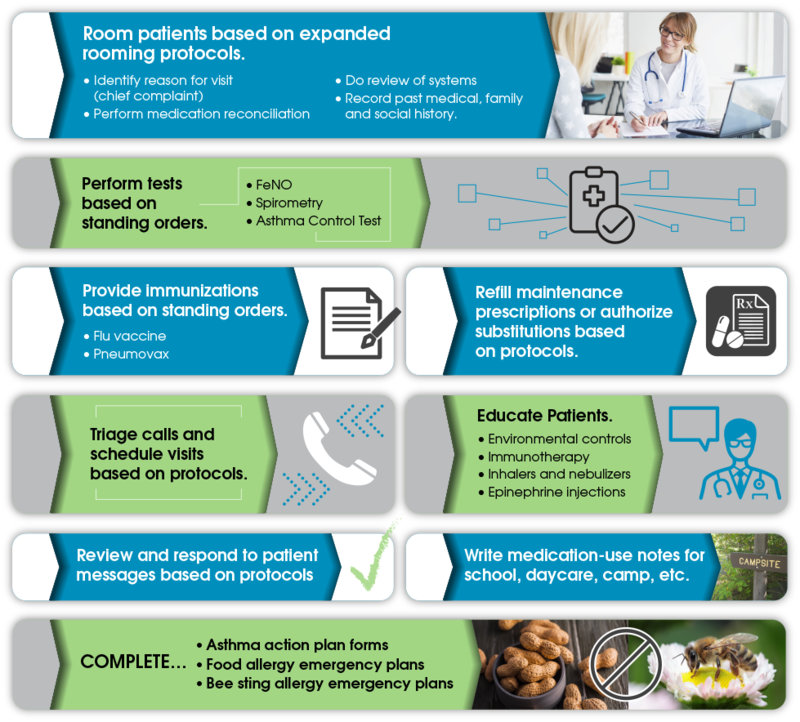 completing asthma and allergy action/emergency plans. 4. What cross-training opportunities do you see in your practice? Which one could you begin planning? MAs could rotate between clinical roles and receptionist. Nonclinical staff could switch between registration, appointments and answering phones. A strong nonclinical staff member could handle prior authorization requests. Yes, it’s true that support staff is the second-largest expense for an allergy practice. But when you have just the right staffing levels, allow your team to work to the top of their scope, and cross-train them to rise to the occasion in times of need, you’ll have a more productive and satisfying practice than you ever dreamed of! ACAAI, "Improve Your Well-Being By Having Staff Work At The Top Of Their License". ACAAI, "Looking to Make Your Practice More Efficient?". Dave N. Gans, "Staffing Evolution: Responding to a New Environment." Dave N. Gans, "Threading The Needle: The Right Support For High Producing Medical Practices." Shannon Geis, "Using Clinical Staff To Increase Productivity And Provide Better Patient Care." Rochelle Glassman, "What's Your Ideal Medical Practice Staffing Mix?" Immunization Action Coalition (IAC), "Standing Orders for Administering Influenza Vaccine to Adults"
Immunization Action Coalition (IAC), "Standing Orders for Administering Pneumococcal Vaccines (PCV13 and PPSV23) to Adults"
North Carolina Board of Nursing (NCBON), "Suggested Standing Order Template: NC Public Health Nursing"
1 ACAAI, "Improve your well-being by having staff work at the top of their license."